Located in Grand Bay on the sunniest coast of Mauritius, Mauricia Beachcomber Resort & Spa is full of charm and character. It is the ideal place for anyone who wishes to witness Mauritian hospitality. A stay in this renowned resort in the north of the island combines modernity, traditions and liveliness in a cosy setting. 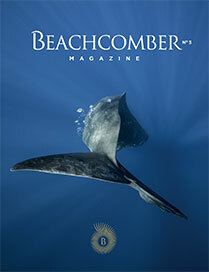 The adventure starts at Mauricia Beachcomber. The dedicated artisans of this 4-star hotel embody this legendary hospitality – the very first ambassador of this island known as the star and key of the Indian Ocean. This hotel with its Mediterranean character promises comfort and simplicity to its guests. A feature reinforced with the opening of the common areas as much as possible on the bay. Ideally located, Mauricia Beachcomber Resort & Spa is also an invitation to the discovery of Mauritius outside the hotel premises. A discovery spelled alongside its shopping malls, nightclubs and the casino of the coastal village of Grand Bay. Grand Bay is home to the active clientele: restaurants, bars, nightclubs and luxury boutiques. You could not dream of a livelier stay!